Looking for the perfect souvenir? Stop by one of our gift shops! 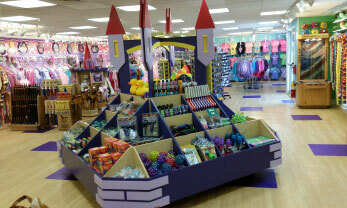 The Castle Gift Shop includes a variety of souvenirs, toys, games, medicine essentials, apparel, and other items to make your time at Dutch Wonderland memorable. Don't forget to check out special items featuring our royal characters! Located at the park's castle entrance. Cabana Rentals has snacks, cold beverages, sunscreen, water toys, medicine, towels, and more! Cabanas are available for rent on a first come, first served basis. 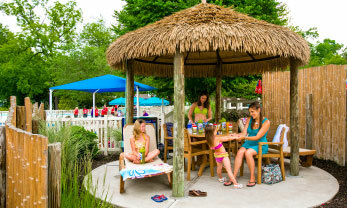 Located in Duke's Lagoon, Cabana Rentals is open Memorial Day Weekend through Labor Day. 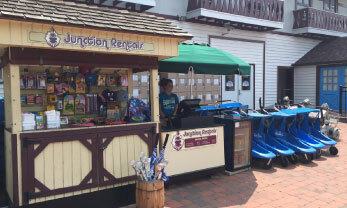 Pick out a Dutch Wonderland or Merlin's Mayhem themed souvenir including Merlin and Mayhem character plush, costumes, magician and dragon accessories, toys, and logoed apparel. Snacks and drinks are also sold at this location. Located at the exit of Merlin's Mayhem. Gem Mine is an interactive retail stand where children can pan for genuine gems to take home with them. Pour the dirt into the sluice, then use the water in the trough to reveal the gems! Purchase a colorful mining hat to aid in your search for these special treasures. Located across from Kite Flight. 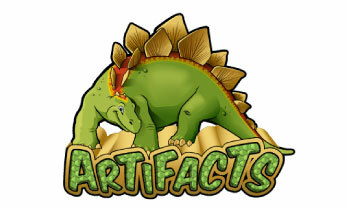 Artifacts features a variety of dinosaur-themed toys, fossils, jewelry, and plush animals for a fun day on Exploration Island. Hats, T-shirts, cold beverages, and dinosaur backpacks are essential for your hike down the Prehistoric Path! Located on Exploration Island. Junction Rentals offers single and double strollers, wheelchairs, and electric scooters to rent for your convenience along with, medicine, cold beverages, sunscreen, and other essentials. 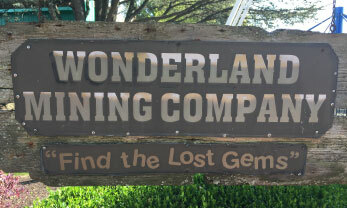 Located next to the Security Office near the front of the park. Rentals are available on a first-come, first-served basis. 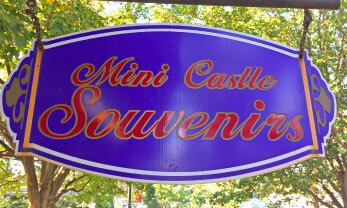 Mini Castle features an assortment of dress-up costumes and accessories for boys and girls. 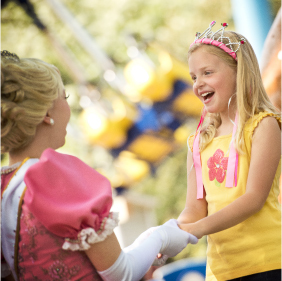 Princess dresses, knight capes, wizard costumes, and accessories are perfect for dressing up like Dutch Wonderland's royal friends! Located outside the Aqua Stadium. 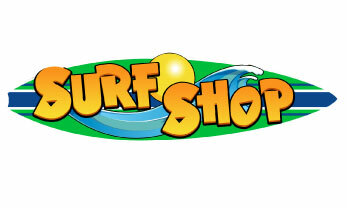 Surf Shop includes a collection of colorful apparel, sunscreen, towels, goggles, souvenirs, and jewelry. 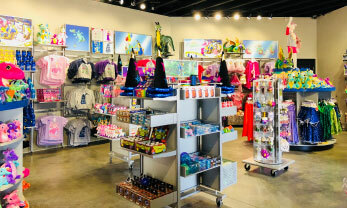 The stand also supplies swimsuits and footwear in a large variety of colors, sizes, and styles for children and adults to wear during their stay in Duke's Lagoon. Surf Shop is open Memorial Day Weekend through Labor Day.